The-General wrote: "You should never underestimate the predictability of stupidity." I just knew you were going to say that. The 'issues' would certainly worry me.... but if you are confident you could repair it, and you really wanted it... Who are we to say anything about how others want to spend their bottle-tops ? Hi Bob,i have no problem with how people spend their beans mate,i just hate how the looneys on there are wrecking auction format sales for radio equipment for the rest of us even more by bidding up items to so much when its so obvious they aint worth that much,its hard enough trying to find a bargain on there now when sellers are reluctant to list stuff on there due to the excessive fee's ebay /paypal now charge,so with the bidding looney brigade going daft on there it drastically lowers the chance of buying something for a sensible price for the rest of us,long gone are the good days of 4+ yrs ago on ebay when there was twice as much stuff on there for reasonable prices, as it seems idiocy reigns supreme on there now with this "i must have it" culture,amazing when you consider the whole country is meant to be in a recession. Yes i did win the radio there bob and it's payed for now so it will be on it's way soon it may of been way to much for the radio but a lot of you forget that i like mods and this mod was the ultimate and all so a well kept secret. If you think about it there is note stoping me makeing my own vfo'ed uniden based radio's with the info and data off this radio. Or just to think if i started makeing my own design of the vfo kit and sold them on as a kit. I know there's lot's of you out there that would like to own a Cobra 148 vfo or a jackson vfo and others out there but dont whant to pay silly cash for a Jentec Cobra. 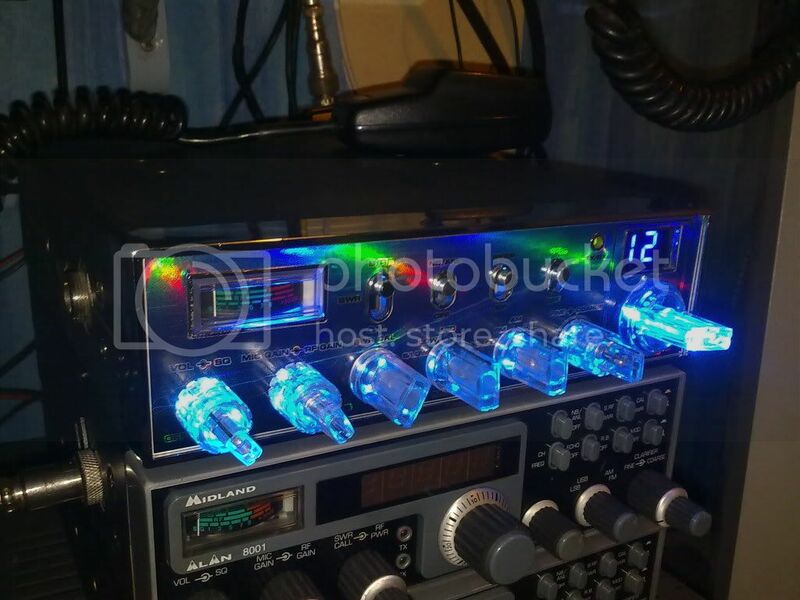 And when you see The Collector with his pimping of rig's and Bigpimps work on cobra with blue LED's and how good they look then what would it be worth if he could fit an vfo kit to it. So i can see i will get my £420 back with out selling the radio off as well as you my see Superstar 360's fitted out with vfo's and frequency readout poping up very soon at a lot less then what you will pay for a jentec. Last edited by Ashtec on 10 Apr 2011, 15:49, edited 7 times in total. The-General wrote: amazing when you consider the whole country is meant to be in a recession. Well done Paul. I hope you insisted the buyer posts the radio Special Delivery before 1 PM the next day,thats the least he can do. I have a MK V Paul. You wont regret buying it and you will never want to sell it. M1JWR wrote: How often does a MkV come along? Are well it's worth a bit more then £57 as will as knowing the info about them. PAUL27UK wrote: Are well it's worth a bit more then £57 as will as knowing the info about them. Any info you want on it Paul when it arrives just ask. Forest Gump wrote: Young Jenny: Are you stupid or something? I consider it far more 'stupid' to keep harping on about other peoples decisions. Paul wanted the MkV, and had the means to buy it, more power to him in my opinion. I was refering to the idiots in general on Ebay spoiling it for everybody else,thats my opinion which im entitled to & sticking with,i don't expect others to think the same.